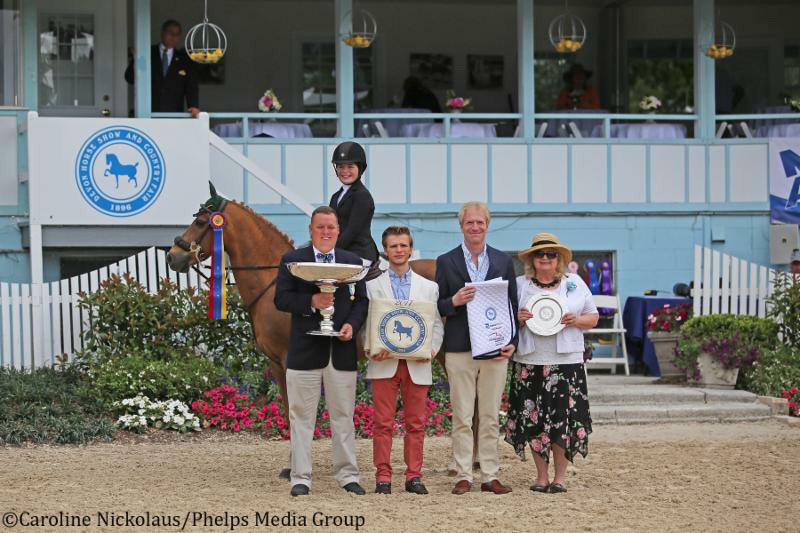 Sunday of Memorial Day weekend marked the culmination of Junior Weekend at the historic Devon Horse Show, but for Katharine Dade and her own National Treasure it also meant a triumph in the Pony Jumper Championship. All eyes shifted to the junior riders and their speedy ponies on course as they vied to make it through the finish line clear and in the fastest time. Dade, of Gilmanton Ironworks, New Hampshire, only began campaigning in the jumper ring this year. 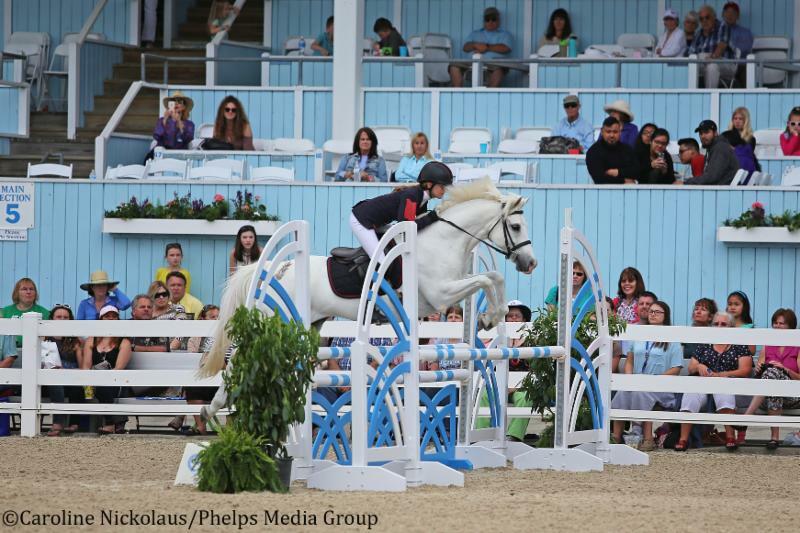 Previously, she rode in the pony hunters, but she hasn’t looked back since making the switch over to the jumper ring. On Saturday, Dade and her 16-year-old chestnut Welsh Pony Cross mare snagged the blue ribbon after going clear in the $1,000 Pony Jumper class with the fastest time of 29.179 seconds in a six-horse jump-off. 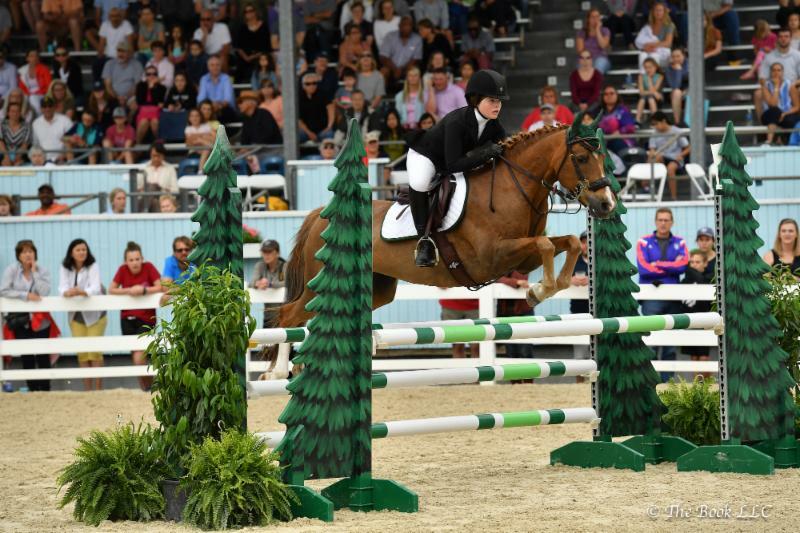 The 15-year-old superstar has been training for the past 10 years with Gretchen Anderson out of Apple Knoll Farm in New Boston, New Hampshire. After spectators had the privilege of watching top-notch junior hunters, equitation, jumpers and carriage driving throughout the weekend thus far, they witnessed 15 contenders battle it out for top honors and generous prizes on Sunday to round out the Pony Jumper Championship. Dade claimed Sunday morning’s second class of the division in a seven-horse jump-off, while Bridgid McMurtrie’s Wishlea Star Dasher, who won the 2016 Pony Jumper Championship at the Devon Horse Show, and Alice Nolen-Walston rode to victory in the $2,500 Pony Jumper Classic out of a three-horse jump-off. The crowd stood eagerly alongside the sidelines hoping to catch a glimpse of the pony jumper action in the Dixon Oval. Course designer Kelvin Bywater of Great Britain put riders to the test with his challenging tracks, which quickly narrowed down the playing field to the most talented two- and four-legged athletes. To make Dade’s championship win that much sweeter, she and National Treasure were honored with the Leonard Tose Memorial Challenge Trophy. The reserve champion ribbon went to Alice Nolen-Walston and Wishlea Star Dasher. Awards presentations wrapped up with the Pony Jumper Style Award being given to Audrey Schulze and Gayfields Talladega Knight.